Fable 2 Pub GamesAug 13, 2008The Fable II Pub Games include three exciting casino-style games set in the world of Lionhead's award-winning Fable® series. The games include Fortune's Tower (a pyramid card game in which each row can make or break your fortunes), Keystone (a game o..
Fable 3Oct 26, 2010 (US)Compassion or Cruelty? The Race for the Crown of Albion Begins in “Fable III” Exclusively on Xbox 360. 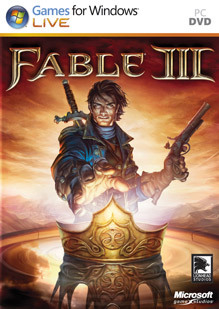 Microsoft and Lionhead Studios unveil a thrilling new adventure in the multimillion-selling “Fable” franchise, while introducing episodic distribut..
Fable 3 (PC)May 17, 2011 (US)Fable III Games for Windows version..
Fable HeroesMay 2, 2012Fable Heroes is a fresh spin on the beloved Fable franchise in which up to 4 players play both cooperatively and competitively in this hack-and-slash adventure. Work together as heroes of Albion to defeat familiar foes and new enemies while collectin..
Fable IIOct 21, 2008“Fable II” is the highly anticipated sequel to the wildly successful original that sold more than 3 million copies, offering even more choices and building on the core gameplay theme of “Fable,” where players’ every decision continually defines whom ..
Fable: The JourneyOct 9, 2012 (US)Fable: The Journey is the next installment in the Fable series. 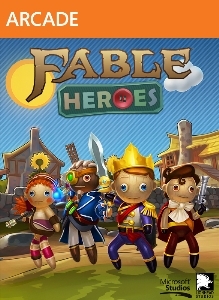 Built from the ground up for Kinect for Xbox 360, Fable: The Journey is a whole new way to experience the deep storyline, heart-pounding action, and picturesque world of Albion that..
Bejeweled 2 is the latest version of the classic “match-3” gem puzzler, in which players manipulate jewels of different colors to create horizontal or vertical rows of three more identical jewels. Sol..